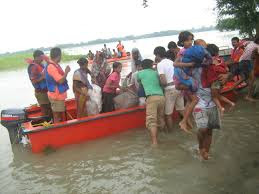 According to United Nations International Strategy for Disaster Reduction, India is the fourth most disaster-hit country in the world after China, the United States and the Philippines with 167 disasters between 2005 and 2014. In 2015 and 2016, more than 1,100 deaths were reported from across the country due to disasters, according to an international report. Millions of people were affected and the economic losses were estimated to be over US $ 4.4 billion. India often refers to global databases and snapshots of disaster events for reporting disaster losses. However, these databases work under various limitations and are not able to produce accurate analyses. To plug these gaps and make suitable policy interventions, the need to develop a uniform, integrated and credible national-level disaster database with locally obtained and validated data was being strongly felt for some time now. Some other Asian countries such as Sri Lanka and Indonesia have already developed their own national loss and damage database. Moreover, the Sendai Framework for Disaster Risk Reduction requires signatory countries to report on disaster risk indicators. In fact, UNISDR recently launched the Sendai Framework Monitor, an online "tool to help countries develop disaster risk reduction strategies, make risk-informed policy decisions and allocate resources to prevent new disaster risks." 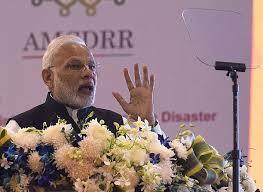 Having adopted the SFDRR, it was imperative for India to work towards building a national disaster database. 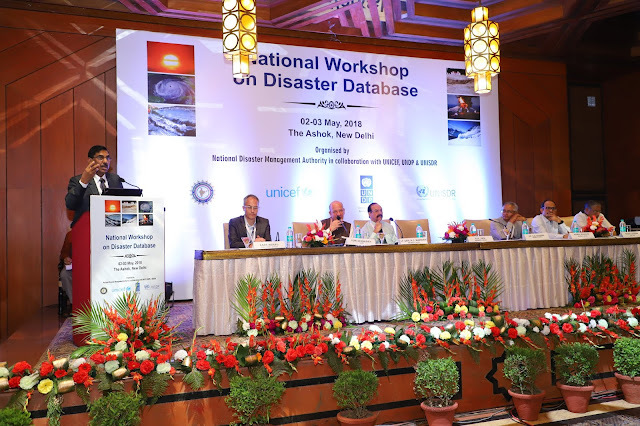 In its efforts to improve our mechanisms for assessing and tracking risks and progress towards resilience, National Disaster Management Authority (NDMA) conducted its first national workshop on the creation of a disaster database. The two-day workshop (May 2-3, 2018) was held in collaboration with United Nations International Children's Emergency Fund (UNICEF), United Nations Development Programme (UNDP) and UNISDR. The workshop brought together various stakeholders, including representatives of concerned Central Ministries and Departments, State Governments, UN agencies, Administrative Training Institutes (ATIs), Disaster Management Institutes and Universities, on a platform to develop consensus on disasters, thresholds and develop standardised templates for data collection, updation and validation to ensure accuracy and quality. This database will also be a step forward towards implementing the Prime Minister’s 10-point agenda to address disaster risks, outlined during the Asian Ministerial Conference on DRR (AMCDRR) in November 2016. A significant feature of this database would be its real-time and dynamic nature. State Governments will report and feed disaggregated data into this dynamic platform. For example, the data on affected population would give details such as age, gender, income class and vulnerability profiles. Similarly, economic losses would be calculated in a sector-wise manner. “We will try and provide data that’s as disaggregated as possible, by space and gender,” said Kamal Kishore, Member, NDMA. Such a comprehensive database will enable complex analyses and interoperability - its ability interact with all available and relevant datasets, such as hazard, risk and vulnerability maps, education and health information data, and other available datasets. This will, in turn, help governments make targeted investments in infrastructure and other relevant areas to strengthen preparedness against disaster events in the future. “For a large country like India, aggregated data collected at the State level is not as useful. It has to go down further to district and, preferably, block levels,” added Shri Kishore. A Steering Group will be formed to oversee the setting up of the database, and guiding trainings and capacity building for operating, maintaining, updating and using the database. The Group will also identify pilot States and draw a roadmap for implementation of the project. NDMA aims to set up this database by 2020.